How To Hang Curtain Rods And Curtains Using A Laser Level? How To Hang Curtain Rod And Curtains Using A Laser Level? Hanging curtain rods and curtains is one of the most deceivingly difficult tasks. On the surface, it is quite simple. After all, you might say how difficult it can be to screw two brackets and hang a rod between them. Well, if you won’t be bothered with crooked or slanting curtains, it is fairly simple. A fool’s job really. However, if you don’t want your spouse to remind you every waking hour about your sloppy job, then it is fairly a tricky task, which must be done with utmost care. And, by the way, your pesky neighbors will notice your messy and slack work. Before we proceed, let’s take a brief look at the type of curtain rods. 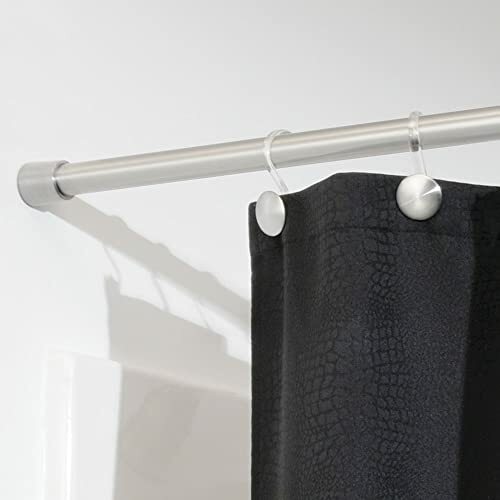 This is most commonly used curtain rod and is more functional than decorative. 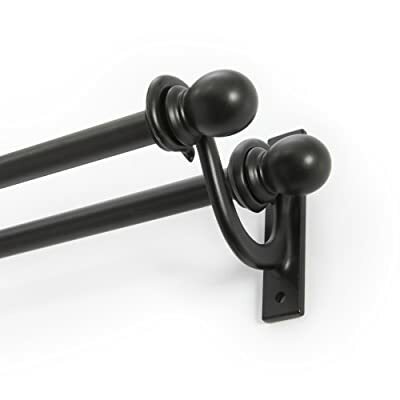 This inexpensive rod has an adjustable pole with ornamental end caps, often called finials, which can be attached to the wall with brackets. If you are going to open and close curtains frequently, the traverse rod is your best bet. This rod has hooks attached to concealed pulleys inside the rod. And, to draw curtains, you just have to pull a cord or wand instead of tugging at the curtains. This is also best suited for heavy curtains. This is cheapest and easiest option but it comes at the cost of sturdiness. These rubber tipped rods have a spring mechanism that can be adjusted to fit inside recessed window frame without the use of any hardware. Only suitable for lightweight panels. Otherwise, it is going to come crashing down. This is best suited when you want to hang sheer panel beneath a heavy curtain. And, a small glimpse at the main type of curtains available in the market. The name of these curtains come from lined up boxes created at the top, which gives curtains a tailored and pleated look. These curtains have deep folds down the full length and are ideal for formal rooms such as office or study. These curtains are named so after the pocket created by casings at the header through which rod can pass. You don’t need rings for these curtains and are perfect if you are using a simple and cheap rod as the curtain covers it. 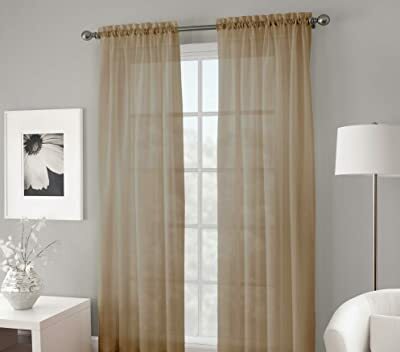 This category of curtains is similar to rod pocket curtains. They have fabric loops on the top, which eliminates the need for rings. Perfect for informal rooms and look gorgeous due to folded and repetitive appearance. The sheer curtains are perfect when limited amount of light is needed in the room as the sheer fabric will filter it. However, not a good choice when you want some privacy. They usually have a tabletop design but can be custom made. Works best as secondary curtains with heavy drapes. These are not technically curtains but decorative framework that assists in concealing the curtain fixtures and casings at the top. Pelmets are made of cardboard and covered with fabric, and are usually of box-like shape but are available in other shapes as well. Valances are similar to pelmets but have a more polished look. You usually need brackets to hang these but some work with standard rods as well. So, the next question arises, where to hang curtain rods. Generally, hanging the curtains above the frame or wider of the frame are the best options. The reason being that it allows the fabric to fall very gracefully and both options completely conceal your window. However, if you have detailed and decorative window frames, which you love to show off, go for an inside mount. Now, before we dive into actual curtain rod hanging process, let me list out tools and materials you will need. Step 1: The first and foremost step is to identify the type of curtain rod and curtains you want to use. To make the explanation simple, we are going with standard row and rod pocket curtains. Step 2: Measure the width of the window to determine the size of the curtain rod. I have a hideous window frame so will go for wider of the frame hanging style. On second thought, top of the frame as well. Also, measure the window height to determine curtain length. Step 3: Now, mark a spot about four inches above and four inches wider of the edge of the window frame with a pencil. Step 4: Hold bracket against the wall and with an electric drill and drill head, screw the bracket into the wall. Step 5: Be very careful with this step as it can spoil all your work. I would strongly recommend using a laser level for this step. Only laser level can help you mark the perfect linear spot for the second bracket. Secure the level on the wall with the help of painter’s tape or wet the laser level suction cup and place it next to the first bracket. It depends on what kind of laser level you are using. Shine the laser light across the wall and adjust to make line level. Mark the position in the line suggested by laser level. Make sure the width from frame is also right. You can use traditional levels as well. But it will take a lot of time and effort. And, the results might not still be satisfactory. Step 6: Next, slip the rod through the casing in the header of the curtains and attach it between the brackets. And, sit back to admire your work. Maybe, throw a mini-party to show off your workmanship. To sum it up, hanging curtain rods and curtains can be a fairly easy task, if you heed the information and follow steps mentioned above. Also, remember laser level is very fundamental to installing rods that aren’t crooked and/or slanting. How To Use Laser Level To Hang Pictures?